Sign up now and get free expedited fulfillment on your first order. What is expedited fulfillment? It's like priority boarding for your package. Skip the queue and get your GlowJetter faster. WHAT'S YOUR JET LAG TYPE? 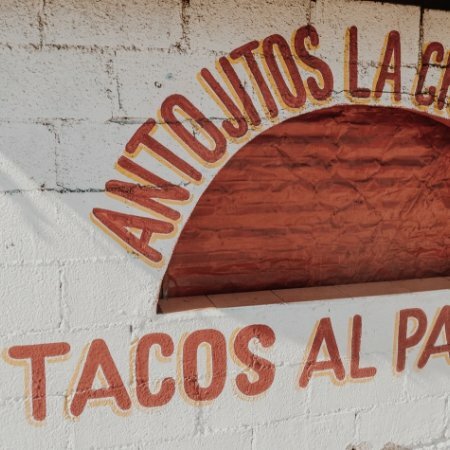 There is a taco stand by the national highway running through Tulum that appears on my list of “Top places to Teleport to” when the technology becomes available. Until then, I’ll have to catch a flight. 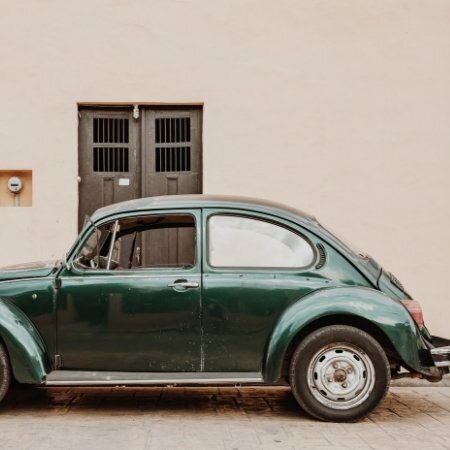 Tulum was THE hot spot in 2015 for bloggers and Insta “It” girls, and for good reason. The beached-out boho vibes are literally what tropical holiday dreams are made of. Palm trees, white sand, and icy margaritas are a definite added bonus. Toss in the opportunity to explore ancient ruins and swimming caves and it’s a dream come true. Tulum can be divided into two: Tulum Town (Pueblo) and Tulum Beach (Playa). 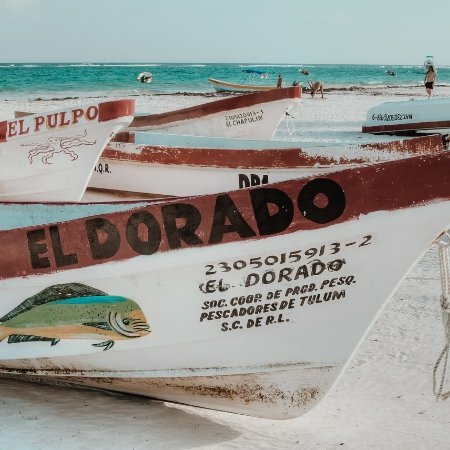 The Pueblo is authentically Mexican and the beach is a tropical faux-castaway. If the Copa Cabana was the hottest spot north of Havana, this is the hottest spot south. Seriously, this place is harder to get into than some Michelin star restaurants. There is a policy that must be followed to a "T" to get a table at Hartwood. You have to be committed; no messing around or “winging it.” Trust me, no one gets that lucky here. The menu at Hartwood is all locally sourced and cooked by open fire. The outdoor vibes are understated, letting the food speak for itself. Sustainability comes first here; solar energy powers everything from music to lighting and waste is composted to help give back to the land that provided the nourishment. That’s the kind of food that tastes good on so many levels. Papaya Playa Project is plastered all over Instagram, and for just cause – it’s what your quasi-castaway dreams are made of. This paradise is planted on a sandy beach, dotted with adorable palm leaf shelters overlooking a sparking blue sea. Iguanas chill out EVERYWHERE here. With an incredible menu and beachside beverage service, you literally don’t need to leave the resort to have all your vacation dreams come true (yes, you can sleep here too.) Manuel, another Margarita por favor. There’s also an adult-size swing that overlooks the beach. Try this before you’ve had too many margaritas – or after. I’ll leave that up to you. The “real” Mexican food in Tulum is up by the highway. Yes, there are plenty of places down by the beach that serve Mexican food, but I’m talking authentic Mexican. You literally can’t go wrong; just pick one. They all serve pretty much the same menu so I like to make my pick based on the bright oilcloth table covering or the cute hand-printed signs. Order one of everything and it will cost you less than $20… for two people. I’ve tried to travel without needing a caffeine injection daily, but the sad truth is I cannot go a day without coffee. When planning and booking a trip I will always make sure there is at least one place that I can get a decent coffee. I’ll scour review sites feverishly and make my best judgment call about where to place all of my trust. Planning for a good brew goes a long way; I mean, who wants to be let down by a bad latte on holidays, right? NO ONE. Tulum provided the goods in the form of Ki’bok. There are other places in town serving coffee; I’ve tried them all, but none were as good as this place. The service is amazing, the coffee on point, and the place well-wears “I’m on holiday” vibes. Oh… and there are pastries. Good pastries. Sleep and stretch both body and mind at Yoga Shala. This down-to-earth hotel offers charming and comfortable accommodation for your stay in Tulum. With classes ranging from Kundalini to Hatha, they’ve got you covered. Enjoy healthy and delicious food to recharge you throughout the day. Want to get that body going outside of your yoga practice? Make use of one of the hotel’s bicycles for rent to quickly make your way to the beach after breakfast. Rustic charm and luxury blend effortlessly at this boutique hotel. Nestled into the tropical rainforest right by the sea, this is a prime place to plant yourself if you’re on looking for a stylish beachside getaway. With plush daybeds down by the beach and an in-house spa, Be Tulum covers your wellness necessities exquisitely. And while you’re there, don’t miss the chance to sip a well-crafted cocktail at the Beach Bar. I’ve also heard you can also ask the talented bartenders for off-menu concoctions. Ah yes, we meet again PPP. Casa, casita, or cabaña – your pick. All accommodation here is inspired by and exquisitely designed with a love for nature in mind. Overlooking the azure sea and surrounded by the Mexican jungle, the lushness here is very much real. It’s a holistic haven as well – guests can reconnect with their spiritual selves through yoga, tai chi, and meditation. And let me remind you, food and beverage are served beachside from late morning. Yep, it pretty much covers it all. Like I said – Yoga Shala is not just a place to sleep; it is a place to move, too. With more styles and classes than any other studio in Tulum, you are bound to find your own perfect sweet spot between movement and stillness. Ashtanga, Kundalini, Vinyasa, and Hatha classes are all on-offer and each are led by quality teachers from around the world. The studio’s open-air vibe will make you feel totally alive as you breathe in the freshness of the jungle air. Ever experienced a Temazcal ceremony? These traditional pre-hispanic Mexican sweat lodge ceremonies offer body and spirit purification and reconnection to Mother Earth. Ceremonies are 2.5 hours in length and are held on new and full moons. If these moons don’t line up with your dates, you might consider arranging a private ceremony with your own group. People have reported these ceremonies bring clarity of vision and a sense of inner harmony. Mmm, sounds divine. Underwater sinkholes! 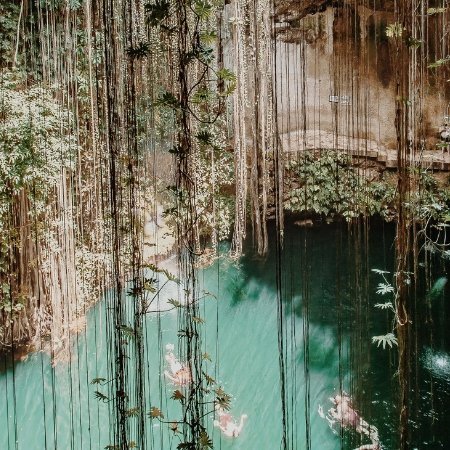 If you want to swim, snorkel, or dive in hidden caves, you won’t want to leave Tulum without having visited one of the many cenotes that Tulum has to offer. Gran Cenote is a popular option with a sandy bottom and decks for sunbathing, but there are plenty others, too. Cenote Ponderosa displays crystal-clear waters and bright wildlife, while Cenotes Labnaha offers qualified guides and a maximum limit of daily visitors. The latter is committed to working with local Mayan communities and reducing environmental impact. Make your pick and dive in! 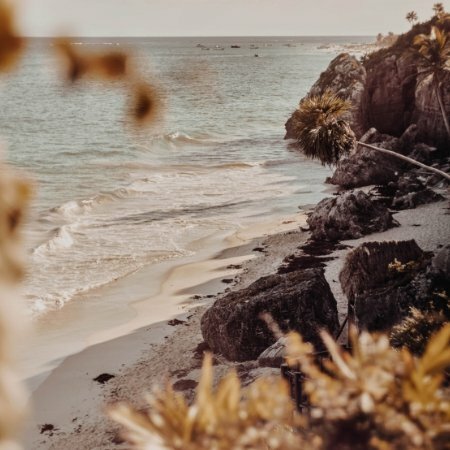 If you’re a history buff or are simply drawn to things otherworldly, a trip to Tulum would not be complete without checking out the Mayan Ruins of Tulum. The world-famous archaeological site rests perched at the edge of a cliff overlooking the vastness of the Caribbean. The walled city creates a taste for what life might have been like between the 11th and 16th centuries. Visit this ancient fortress to step into another time before sinking back into the sand with cocktail in hand.